The National Weather Service has issued a Flash Flood Watch for Prince George's County and surrounding areas. Please take the time to read their most recent update and safety advice. Remember, Stay Informed - Stay Ready - Stay Safe!!! Precautionary/preparedness actions: A Flash Flood Watch means that conditions may develop that lead to flash flooding. Flash flooding is a very dangerous situation. Be prepared to take action should flash flood warnings be issued. 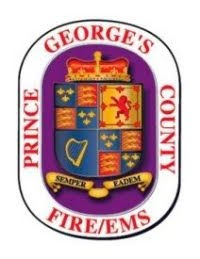 The Prince George's County Fire/Emergency Medical Services (EMS) Department wants you to stay safe during this potentially dangerous weather conditions. Help us by helping yourself and heed warnings and safety tips. If your car stalls in high water, DON'T PANIC, leave your car and seek higher ground, if you can do so safely and call 911. Stay informed about the storm and possible flooding by listening to your NOAA weather radio, commercial radio, television or Internet. Sign up for "ALERT - Prince George" and receive important information on your phone and other devices. Please click here to sign up.